I left my Golden Retriever puppy Roxy with KaTi when she was around 5 months old. I was going away for a vacation, and I didn’t want to leave her at a kennel. I wanted her to learn some new things while I was away. And boy, did she learn new things! Before, getting Roxy into her crate was a HUGE hassle. Have you ever seen a child throw a tantrum? Well, cue 30lb puppy throwing an adorable (but very annoying) tantrum every time it was bedtime. When Roxy came back from Board and Train with KaTi, she went into the crate without a peep. She would even crawl in to nap on her own. Roxy is now about a year old, and she still sleeps in her crate every night. KaTi doesn’t just train your dog, she trains YOU, so you can better train your dog. KaTi will also go above and beyond. I’ve called her in tears before after being frustrated with Roxy (typical teenage hormonal dog behavior), and she’s calmed me down and immediately scheduled sessions to fix the issues. She will also recommend a good wine to drink for when puppy training takes it’s toll. The best part about KaTi is that she does positive training. No leash popping, no shock collar, and none of those controversial correctional measures. This was extremely important to me. KaTi, is truly amazing, in simple terms, she is the best!!! She shows true and genuine care for her customers and their pets. When I saw her authentic passion for dogs, that’s when I knew I was working with the right trainer. KaTi has been nothing less than amazing for my Rottweiler and I. We did the obedience course with KaTi and have no regrets. My Rottweiler since then, has been great and continues to improve in all aspects. I’m improving and learning along with him also, since KaTi also teaches us, the owners how to work with our pets so that we can continue proper handling at home. Thanks to KaTi’s amazing training tactics and all her advice, I have a great, well behaved dog. Thank you KaTi for all your help, your sincere caring and all your follow up even after our course was completed, has made my experience with you an amazing one! THANK YOU!!! I have been working with KaTi for about 3 months now and could not be happier. Our puppy Alfonso is a maltipoo and is now 6 months old. We received him when is barely 8 weeks old and he was no bigger than our palm. We have been working on some issues related to isolation distress, alone time, and all kinds of obedience training. Alfonso could not stay alone at all in the beginning and freaked out instantly (whining, crying, howling) and now he can stay in the crate 3-4h without a fuzz. We are also able to leave him unexercised now for 30min in the house and are continuously raising the limits. Which may not sound like a lot, but from where we started – this is sooo much progress. She really tries to figure out a plan particularly for your dog and your schedule. She does not just give blanket advice but really explains decisions. Sometimes it may seem like baby steps, but those go sometimes much further, because you are working at your dog’s speed and comfort. She also has been a great listener to the human part of the team. She had to listen to me whining more than once on the phone and always had an open ear and some advice. She cares deeply for dogs and their human counterparts. We are going to continue to work with her and want to say THANKS KATI! One of the smartest trainers I have had the pleasure of knowing is Kaajal Tiwari of D for Dog. Kaajal is like a well oiled machine with a huge heart churning away to help dogs and the people who care for them. Why so good? Despite the pressures of training work, Kaajal doesn’t fall into the forceful training category many trainers use for a “quick fix”. Kaajal is big on weighing options, problem solving, providing realistic guidance and education in activating solutions for every client – all while dosing anyone who’ll listen with good dog sense. She keeps training sessions/classes moving forward with optimism and encouragement. Eyeball one of her classes to see what I mean. This is one trainer I recommend to EVERYONE! KaTi is a passionate, gifted trainer and we highly recommend her. We engaged KaTi to help us with our 3 year old lab/greyhound mix, Tipper. When we first rescued our dog, we didn’t know were inheriting a “project.” She had been through at least 6 homes in her short 6 month life, and had not had a chance to be properly socialized, exposed to the world, or even bond with anyone. Tipper’s behavior problems (plus elbow dysplasia) were bad enough that, if returned to a shelter, she would most certainly be euthanized. We are experienced dog owners, but went through no less than 3 highly recommended trainers, plus a certified vet behaviorist, and worked incredibly hard with her. Tipper remained highly reactive to just about everything, and often aloof with us, preferring the safety of her crate to being petted or played with. She would seriously flip out around other dogs. She flipped out at a lot of imaginary things. We were all stressed, tired of judgment from others about our dog, and out of cope. But we didn’t want to give up on Tipper. Enter KaTi of D for Dog, recommended to us by our vet behaviorist. We decided to have one more try with a trainer, and she has changed our life. If only we had found her sooner, Tipper would have had much less bad stuff to unlearn (it’s really hard to find a truly qualified trainer, especially for hard cases like ours)! From the beginning, KaTi made it clear that she didn’t know whether she could fix all of Tipper’s problems, but approached our project with unsurpassed dedication, enthusiasm, tons of support and lots of ideas. We really appreciate how she has made sessions fun for us and Tipper, and shows, in many ways, that she not only loves dogs in general, but our dog. No matter what craziness Tipper comes up with, KaTi takes it in her stride, always with support and encouragement, never judgement. Dogs love KaTi and so do we! KaTi is a strong believer in focusing on positive training, and she knows how to make it work. She creatively finds ways around problems. She really knows dogs and continuously keeps up with her education and advanced training. KaTi was clear that we would have lots of homework with Tipper–and we have worked hard. KaTi has worked very hard with us, going the extra mile for Tipper, showing incredible generosity. If we didn’t give up, neither did KaTi. As a result, over time we have seen many positive changes in our girl, and many others have noticed, too. She has gone from a “lost girl,” in KaTi’s words, to being happy and comfortable in her own skin. She loves pets and attention, can relax in front of the TV with us, and no longer has to be hypervigilant at home or everywhere she goes. We still have a long way to go with her–but she is gaining confidence day by day. I wholeheartedly recommend Kaajal Tiwari with D for Dog! I am a first-time puppy raiser for an organization that provides service dogs for children with autism. We had a dog for 12 years, but we never were successful with training her to not pull on the leash, to not jump on people, to not demand attention… The learning curve was therefore pretty high for me when I took on this puppy to raise. I was looking for a class that used positive-only/treat-based training, that didn’t allow dog-on-dog interactions, and that focused on good behavior in high-distraction settings. The outdoor class at Ramac Park has been really good practice! It’s not easy to take a class outside…there are airplanes flying over head, children riding by on bikes, lots of smells in the grass…! Sometimes (well, often) I feel embarrassed that my pup is pulling me toward other dogs or jumping on Kaajal for the treats in her fanny pack. But Kaajal confidently tells me what to do, what to work on, and how to improve my interactions with my pup….all with a great sense of humor (“Every time you repeat a command when your dog doesn’t obey the first time, you have to pay me $5!”) She has endless energy and clearly cares about her clients and their experience (and relationship!) with their dogs. She loves her job, and it shows! The thing I appreciate about her most, though, is that she extended herself to offer our pup-in-training extra support. She said she appreciated what we were doing and knew the bar was high for him…she offered to give him more of her time to help him improve. I so appreciate that! Thanks for everything, Kaajal! We were truly lost with our newly rescued dogs from India. They had always lived in fear when they were growing up on the streets surrounded by cruelty and ignorance. We opened our home to them but honestly, didn’t have a clue about how to raise feral/ stray rescued dogs who were conditioned to fear people and other animals. It was a herculean task that we couldn’t have handled by ourselves. We did our research and looked around for available trainers most of whom guaranteed a behavioral change in a given number of days but with use of some kind of forceful methodology. We weren’t comfortable about that and decided to look around some more. It was by chance that we connected with Kaajal but from the very first moment we knew that our rescued dogs were in loving, kind and truly capable hands. Over the next few months, Kaajal spent time with us on a regular basis to understand our struggles that come with managing multiple dogs and created a step by step plan to TEACH US to manage their behavioral issues. She was always been honest and precise with her analysis on any given issue and shared it like it was. Her honesty was much appreciated. That one thing that sets her apart from other professional trainers is that she is an A+ trainer, who uses her intuitive skills and deep knowledge to create harmony among dogs and their parents, and encourages you to adopt kind and cruelty-free training methods. She gives you practical solutions that are easy to adopt and has always been accessible for advice during the training period. When you start working with Kaajal, you realize that she isn’t in this profession to make money; she is genuinely interested in creating harmonious relationships between people and their beloved dogs so that they may truly enjoy each other’s company for the rest of their lives. KaTi is amazing! We have a very challenging female English Mastiff. We worked with KaTi to help our dog who has fear and aggression issues. She truly gets to know her clients (including the dog!) 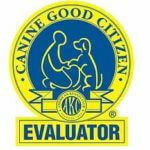 and puts all of her efforts and attention toward giving you the tools necessary to improve your dog’s behavior. She truly is an expert in her field! I always had a handful of “Ah hah!” moments when we were talking and working hands on with our pup. KaTi had new strategies to try that built on the previous steps we’d been working on, and it never felt as if anything was done in vain. There were times with my dog that I felt hopeless and concerned that her behaviors and personality would never change for the better. Yet, KaTi consistently helped me see that that is never the case. The techniques we practiced and continue to employ have proven to work for us. I could see some changes in our dog’s behavior immediately, and others I could seen over longer stretches of time, as we (the owners) used them consistently. Our new practices and routines have given me such a renewed sense of relief that while our dog does have unique quirks, they can be managed and corrected. We love KaTi and will be turning to her again shortly as we get our dog prepared to meet our new baby 🙂 It will be a challenge, but I have no doubt that KaTi will be able to put our minds at ease once more and do whatever it takes to help us get our dog ready!! KaTi is an expert with dogs. She cares deeply about what is good for the dog and how to best support the human who is responsible for the dog. I was introduced to her when we were looking for someone to care for our injured geriatric dog for 2 weeks, during a long-planned family vacation. KaTi selflessly came up with options for us even though she would not benefit financially as the hired dog sitter. She put our dog’s welfare over her own business and that says it all. I would trust KaTi with my dog, and training my dog, because she clearly cares about what’s best for my precious pet. I cannot express how great it is having someone whom my dogs absolutely love, and whom I totally trust, take care of my dogs! KaTi from D for Dog is AMAZING! She took care of my 2 American Staffordshire Terriers. She treated them as if they were her own dogs and they loved all the attention she gave them. I loved that she texted me pictures and videos of how they were doing every day. It made going away so much easier knowing they were being loved and having fun with her. My dogs are high maintenance because they have a lot of allergies and need medicine daily. KaTi was wonderful about giving them their meds and making sure they got them at the proper times every day. I am so glad I found KaTi from D for Dog because seeing my dogs extremely happy with her is definitely a 5 star rating in itself. I definitely recommend her for taking care of your dog(s). I will have her watch my dogs every time I need to go away. KaTi helped us a lot. She helped us to properly socialize, care for and train our dog in a positive and effective way. Our dog is now “a very happy dog” and plays well with other dogs. She doesn’t jump on other people in the neighborhood. KaTi showed us how to effectively manage her in different situations. Some of the other things she helped us with are mouthing, house training, crate training, barking at everyone or everything she sees and really stopped our dog from biting our furniture. As you can see KaTi is a very good trainer. Spot On! Kaajal worked with our Cocker Spaniel when we adopted him from a rescue at 2 years of age. We needed help integrating him into the family. She did the initial assessment/evaluation (about 90 minutes), spoke to us at length to understand our goals and limitations, educated us on the best possible options and set up a training plan. What I liked about her is that she gave “workable” and “doable” solutions keeping our very busy lifestyle in mind (Both my husband and I have a busy professional life). Puzo loved Kaajal and took to her instantly. She seemed a natural with dogs and very amiable with people. We did a 10 session training package (I initially thought it was a tad bit expensive but realized it was SO WORTH IT), where she would show us a step by step approach on house training, crate training and teaching manners to our dog and most importantly building a bond. We learnt a lot of tools to effectively socialize him. We did sessions at home and also at public places like malls, coffee shops etc so Puzo learns how to behave in various situations and we learn how to manage him. She is enthusiastic, extremely patient and really cares about her clients – both the two and four-legged ones (she made sure to follow up over the phone twice a week on what was working and what wasn’t considering our busy schedules and made necessary workable changes immediately). We highly recommend her to anyone who loves their dog as much as we do. KaTi showed us effective and inventive techniques to train our dog and trouble-shooted any problems we had implementing the training. She took the time to get to know us and our Schnauzer Bonnie so that she could suggest ideas that worked for us. KaTi went the extra mile, checking in on our progress weekly and showing our dog love and kindness. Our dog is happier and calmer with the new routines and her parents are happier, too! Thank you KaTi for all your help! Bonnie is doing well with Phoebe and even walks pretty nicely next to the stroller :). Very happy!!! We were out going to be out on vacation for 5 day. I was a little worried about my cocker spaniel “twilight”. And I got reference of Kaajal. She stayed with twilight for 5 days in my house. She sent me updates of twilight everyday with videos and photos. She also worked with twilight with the stranger anxiety. She took twilight for walk and also trained her then. We actually Skyped one day. She was also kind enough to help water the plants too. When we returned the house was very clean. I am very happy with her and would highly recommend Kaajal.